Everyone want to know how to completely get rid of online threats. Sometimes Lost of data may be caused by Virus and Malware, We may not know when it will attack since we are online most times, and sometimes we transfer files from one device to another. With McAfee you can comfortably Go online, with assurance that your are protected against cyber attacks or malicious websites. 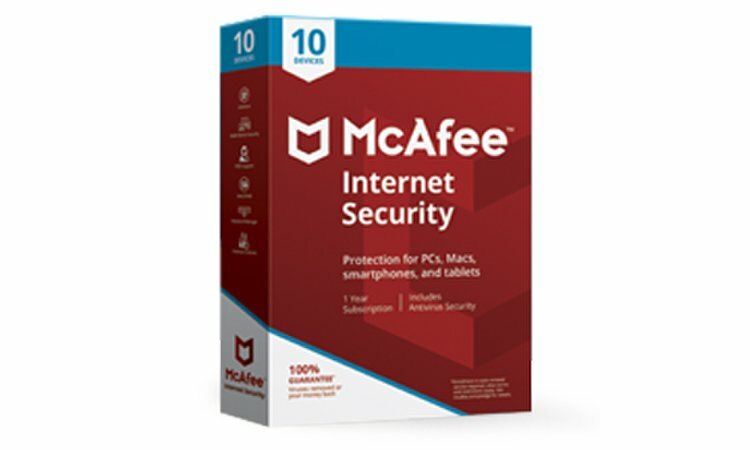 McAfee Protects against harmful programs that monitor, collect and sell your personal information and then you can Freely surf, search and browse all websites with easy. McAfee SiteAdvisor technology indicates website safety ratings before you click with red, yellow or green color codes. It also recognizes phishing sites and blocks them. Shop, bank, and do online exchange more securely. McAfee includes, Identity protection, anti-phishing and Siteadvisor software that will help keep your computer and gadgets safe during financial transactions. It also offers extra security by also keeping uninvited guests away from accessing your computer when you’re online. McAfee firewall features has the ability to restricts external persons access to your computer and files when you are online. And then you know that you’re protected from future Internet threats. McAfee catches Internet threats before they reach you, the perfect insurance against emerging threats. Scans and cleans downloaded files and attachments from email and IM programs. Scans any external drive for potential threats to your Mac. Protects against viruses, trojans, worms, bots, and root-kits. Repairs and removes infections from files without damaging format or contents. Get the most effective protection against virus and online threats today. ← StumbleUpon Moving To Mix.. “A big Leap”.